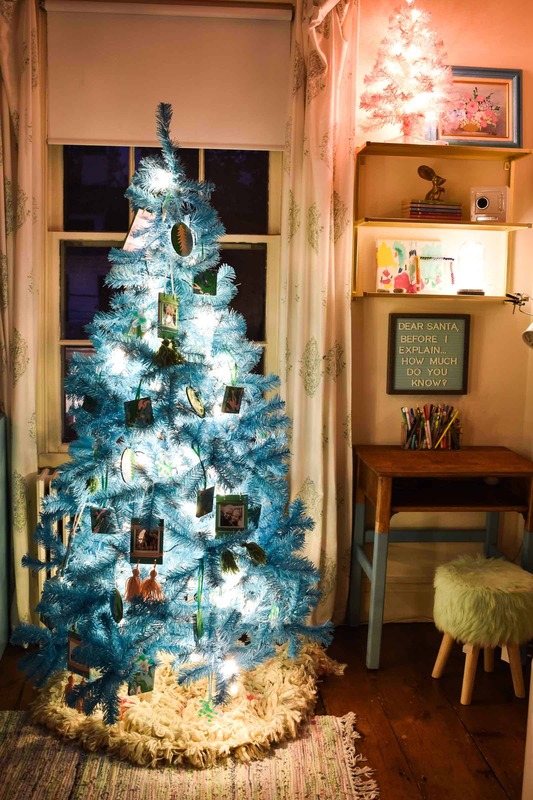 This year, I got my act together and embraced my love of colors AND my love of Christmas. 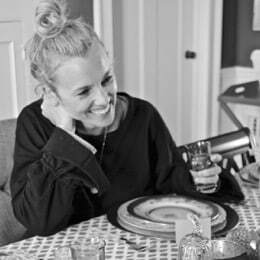 If you’re joining from April’s… HI! I’m Charlotte and I love color. Lots of it! 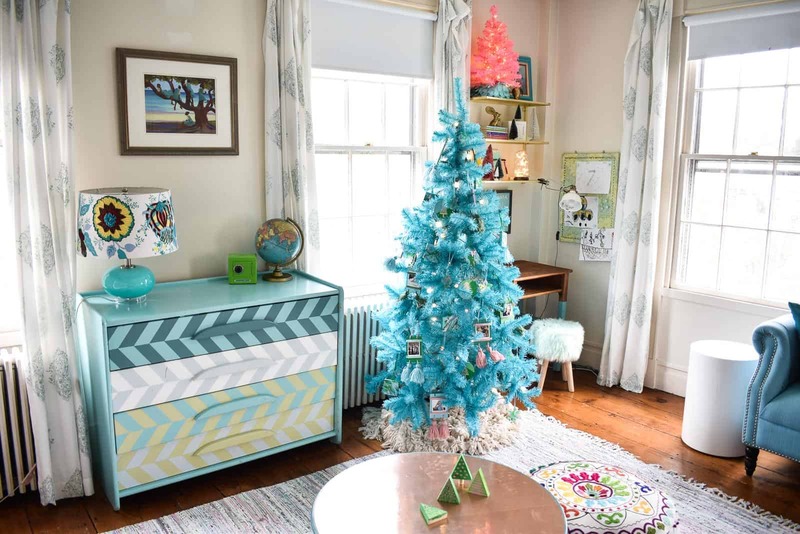 What’s not to love about non-traditional Christmas trees like this aqua one and that small pink one? 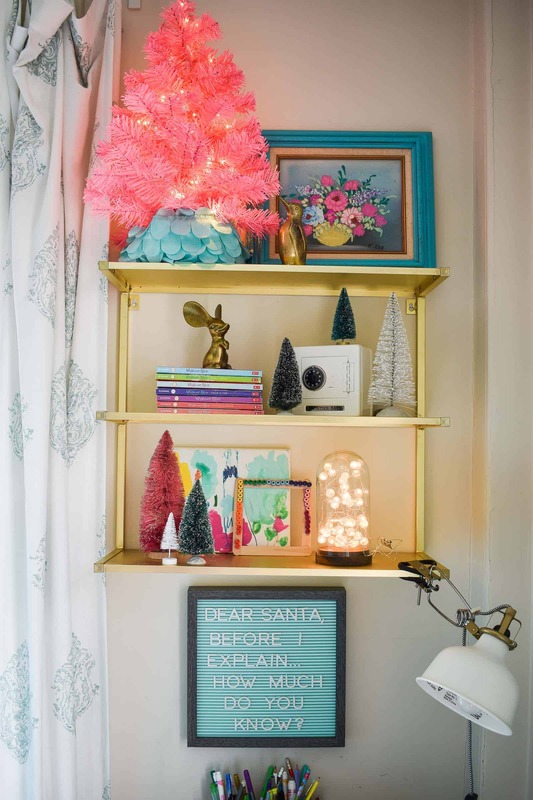 I LOVE how they match the girls room and brings a bit of the season up to their colorful space! Thanks to my pal Chelsea from Two Twenty One for organizing this fun Kids Space tour!! 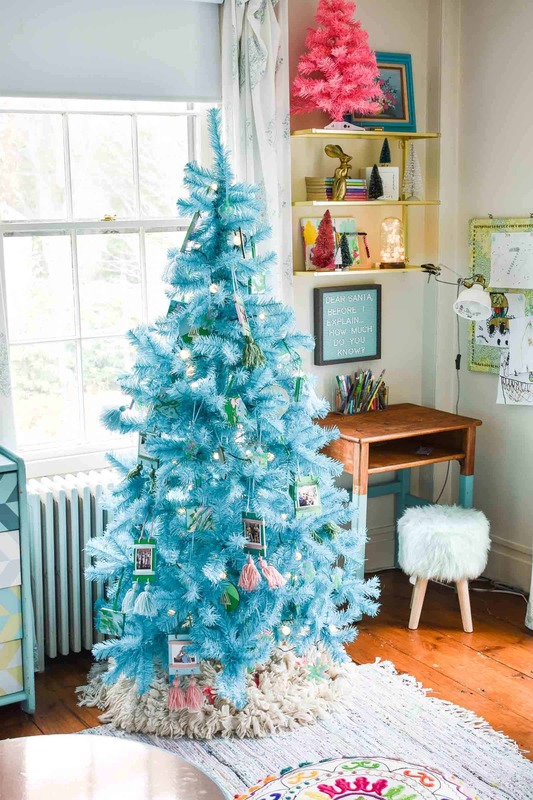 Another reason for that colorful tree is my 12 Days of Ornaments… I needed somewhere to display a few of them so what better place than a matching blue tree?! 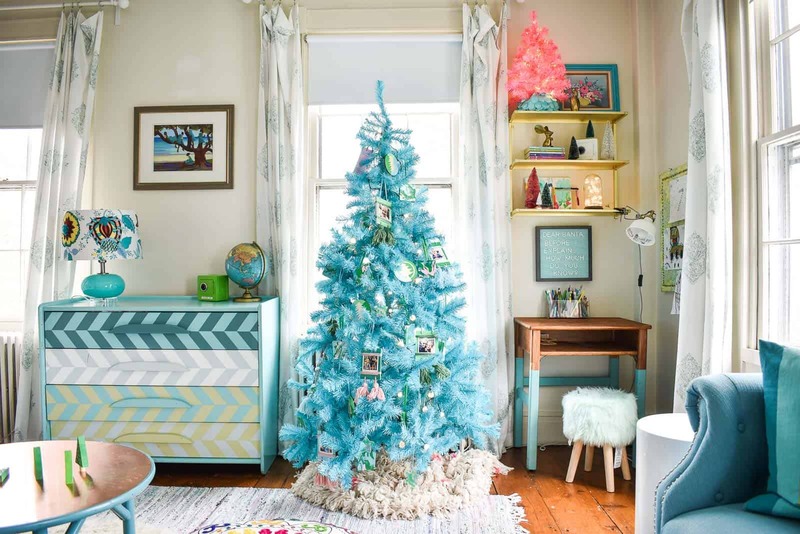 The girls rooms is already an array of blue and pink and color so the blue and pink trees fit right in. I didn’t move any of their furniture out of the way but rather set it up in front of their window. 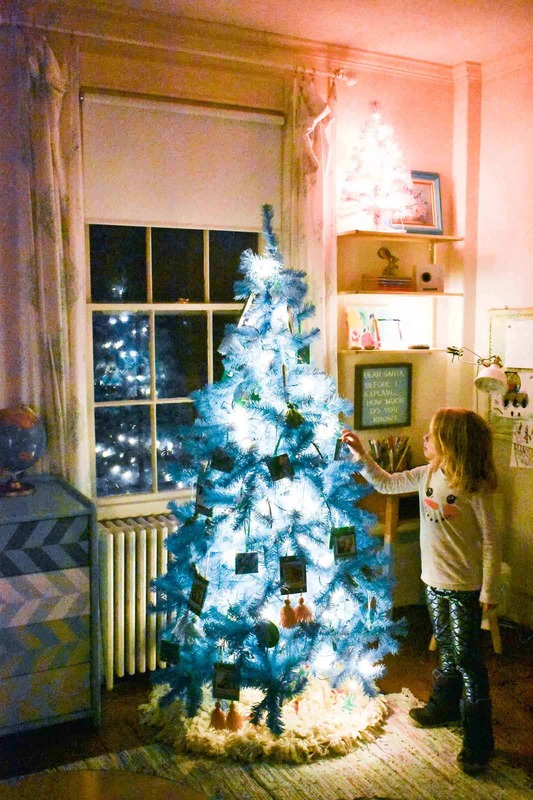 I wrapped the blue tree with this set of bulb lights and then wrapped the pink tree with some micro LED lights (like these ones). When it comes to Christmas trees, I’m never really sure what to say… here’s the tree. I decorated it. With lights. And ornaments. I used a favorite fringy blanket as the tree skirt for the big tree and one of the girls mermaid capes for the tree skirt on the small tree. 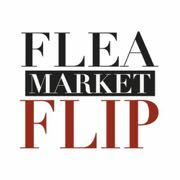 The tutorial for that flea market art makeover is here if you’re interested. 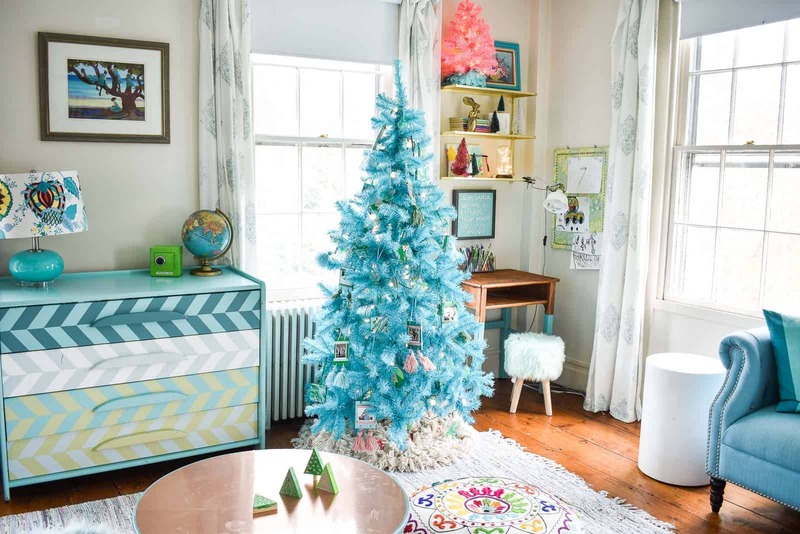 I love it when decorations match and fold in seamlessly with the existing decor like these trees do with that painting! To gussy up that shelf over their desk area, I brought up some bottle brush trees and then a glass bell jar with more string lights. That mint letterboard adds a fun detail and I love the non traditional color of it. In the center of the room, usually covered with crayons and drawings is a thrifted coffee table I made for the girls. 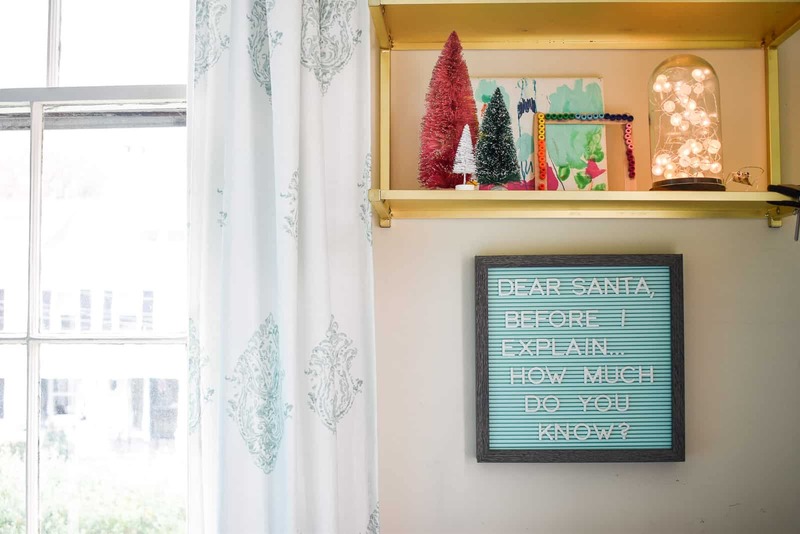 Make sure you head over to Chelsea’s at Making Home Base to see how her kids’ Christmas space looks! 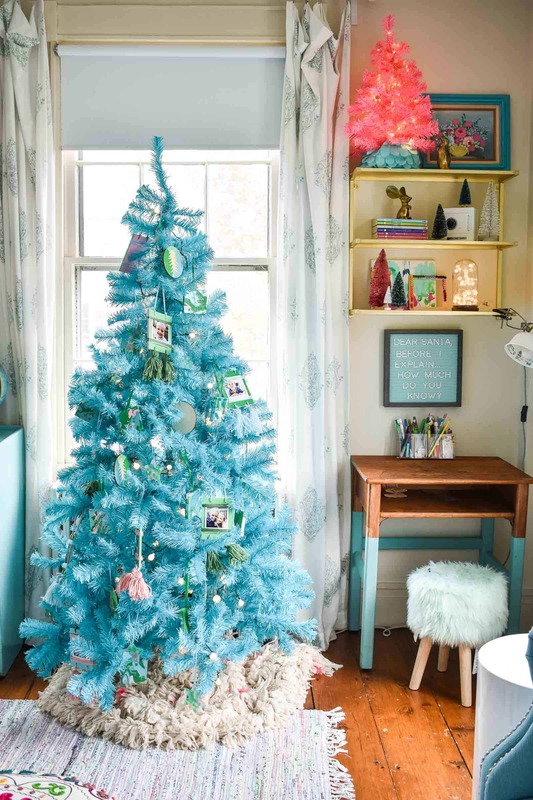 I can’t wait to go and stalk everyone’s decorations… how much glorious Christmas color inspo is there below?! That tree is just perfect, charlotte! i love how festive it is without being traditional. Such a fun addition for your kiddos! Thanks, friend! I’m obsessed with your girls! I agree, it’s hard to figure out what to say about decorating the tree! Ha! Your’s looks so pretty, and I really like the fringy Blanket at the bottom! So pretty! And then I added lights. Aaaaand an ornament. Oh… another ornament. 😉 THANKS! What did you use for your trEE skirt? absOlutely beautiful! Thanks so much ! That’s actually a lovely fringy blanket I got from Anthropologie last spring! I am in LOVE with your colorful trees! They are seriously adorable. I may have them both in my amazon cart right at this very moment. Now I want a tree in every color. Looks so pretty, Charlotte. 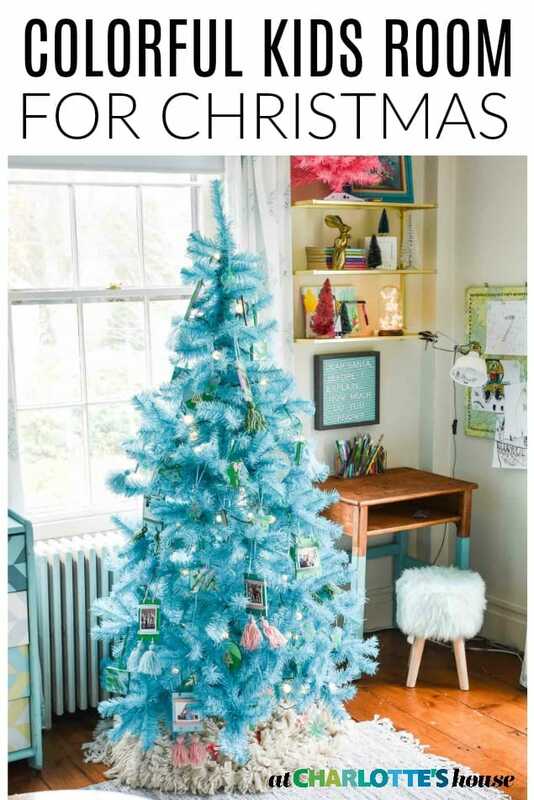 Did you paint the tree blue or purchase it that way – loveit ! I purchased it like that! I linked to it in the post if you’re curious!